All this color selection code is stolen from the ap_UnixDialog_Background dialog. References _constructWindowContents(), _lookupWidget(), abiDialogSetTitle(), XAP_App::getStringSet(), XAP_StringSet::getValueUTF8(), m_buttonDefaults, XAP_Dialog::m_pApp, newDialogBuilder(), s, s_control_changed(), s_defaults_clicked(), and UT_ASSERT. References _setupSmartQuotesCombos(), _setupUnitMenu(), XAP_App::getStringSet(), label, localizeButtonMarkup(), localizeButtonUnderline(), localizeLabel(), localizeLabelMarkup(), localizeLabelUnderline(), m_buttonClose, m_buttonDefaults, m_checkbuttonAutoLoadPlugins, m_checkbuttonAutoSaveFile, m_checkbuttonCustomSmartQuotes, m_checkbuttonEnableOverwrite, m_checkbuttonGrammarCheck, m_checkbuttonOtherDirectionRtl, m_checkbuttonSmartQuotes, m_checkbuttonSpellCheckAsType, m_checkbuttonSpellHideErrors, m_checkbuttonSpellMainOnly, m_checkbuttonSpellNumbers, m_checkbuttonSpellSuggest, m_checkbuttonSpellUppercase, m_extraPages, m_menuUnits, m_notebook, m_omInnerQuoteStyle, m_omOuterQuoteStyle, XAP_Dialog::m_pApp, m_pushbuttonNewTransparentColor, m_tableAutoSaveFile, m_textAutoSaveFileExt, m_textAutoSaveFilePeriod, m_windowMain, s_auto_save_toggled(), s_checkbutton_toggle(), s_chooseTransparentColor(), XAP_NotebookDialog::Page::title, WID, and XAP_NotebookDialog::Page::widget. References AP_Dialog_Options::id_BUTTON_APPLY, AP_Dialog_Options::id_BUTTON_CANCEL, AP_Dialog_Options::id_BUTTON_DEFAULTS, AP_Dialog_Options::id_BUTTON_OK, AP_Dialog_Options::id_BUTTON_SAVE, AP_Dialog_Options::id_CHECK_AUTO_LOAD_PLUGINS, AP_Dialog_Options::id_CHECK_AUTO_SAVE_FILE, AP_Dialog_Options::id_CHECK_CUSTOM_SMART_QUOTES, AP_Dialog_Options::id_CHECK_ENABLE_OVERWRITE, AP_Dialog_Options::id_CHECK_ENABLE_SMOOTH_SCROLLING, AP_Dialog_Options::id_CHECK_GRAMMAR_CHECK, AP_Dialog_Options::id_CHECK_OTHER_DEFAULT_DIRECTION_RTL, AP_Dialog_Options::id_CHECK_PREFS_AUTO_SAVE, AP_Dialog_Options::id_CHECK_SMART_QUOTES_ENABLE, AP_Dialog_Options::id_CHECK_SPELL_CHECK_AS_TYPE, AP_Dialog_Options::id_CHECK_SPELL_HIDE_ERRORS, AP_Dialog_Options::id_CHECK_SPELL_MAIN_ONLY, AP_Dialog_Options::id_CHECK_SPELL_NUMBERS, AP_Dialog_Options::id_CHECK_SPELL_SUGGEST, AP_Dialog_Options::id_CHECK_SPELL_UPPERCASE, AP_Dialog_Options::id_CHECK_VIEW_ALL, AP_Dialog_Options::id_CHECK_VIEW_HIDDEN_TEXT, AP_Dialog_Options::id_CHECK_VIEW_SHOW_RULER, AP_Dialog_Options::id_CHECK_VIEW_SHOW_STATUS_BAR, AP_Dialog_Options::id_CHECK_VIEW_UNPRINTABLE, AP_Dialog_Options::id_COMBO_PREFS_SCHEME, AP_Dialog_Options::id_LIST_VIEW_INNER_QUOTE_STYLE, AP_Dialog_Options::id_LIST_VIEW_OUTER_QUOTE_STYLE, AP_Dialog_Options::id_LIST_VIEW_RULER_UNITS, AP_Dialog_Options::id_PUSH_CHOOSE_COLOR_FOR_TRANSPARENT, AP_Dialog_Options::id_TEXT_AUTO_SAVE_FILE_EXT, AP_Dialog_Options::id_TEXT_AUTO_SAVE_FILE_PERIOD, m_buttonDefaults, m_checkbuttonAutoLoadPlugins, m_checkbuttonAutoSaveFile, m_checkbuttonCustomSmartQuotes, m_checkbuttonEnableOverwrite, m_checkbuttonGrammarCheck, m_checkbuttonOtherDirectionRtl, m_checkbuttonSmartQuotes, m_checkbuttonSpellCheckAsType, m_checkbuttonSpellHideErrors, m_checkbuttonSpellMainOnly, m_checkbuttonSpellNumbers, m_checkbuttonSpellSuggest, m_checkbuttonSpellUppercase, m_menuUnits, m_omInnerQuoteStyle, m_omOuterQuoteStyle, m_pushbuttonNewTransparentColor, m_textAutoSaveFileExt, m_textAutoSaveFilePeriod, UT_ASSERT, and UT_SHOULD_NOT_HAPPEN. Referenced by _constructWindow(), and _controlEnable(). References UT_String::c_str(), m_textAutoSaveFileExt, UT_String::size(), and UT_ASSERT. References UT_String::c_str(), m_textAutoSaveFilePeriod, and UT_ASSERT. References gchar, XAP_SmartQuoteStyle::leftQuote, XAP_SmartQuoteStyle::rightQuote, XAP_EncodingManager::smartQuoteStyles, XAP_appendComboBoxTextAndInt(), and XAP_makeGtkComboBoxText(). References AP_Dialog_Options::_getUnitMenuContent(), XAP_appendComboBoxTextAndInt(), and XAP_makeGtkComboBoxText(). References abiDestroyWidget(), abiDialogSetTitle(), abiRunModalDialog(), cc, XAP_App::getStringSet(), XAP_StringSet::getValueUTF8(), m_buttonColSel_Defaults, AP_Dialog_Options::m_CurrentTransparentColor, XAP_Dialog::m_pApp, AP_Dialog_Options::m_pFrame, newDialogBuilder(), s, s_color_changed(), s_real_color_changed(), UT_parseColor(), and WID. References _constructWindow(), AP_Dialog_Options::_populateWindowData(), abiDestroyWidget(), abiRunModalDialog(), m_extraPages, m_notebook, AP_Dialog_Options::m_pFrame, UT_ASSERT, and XAP_NotebookDialog::Page::widget. References AP_Dialog_Options::_enableDisableLogic(), UT_ASSERT, and UT_DEBUGMSG. References event_ChooseTransparentColor(), UT_ASSERT, and UT_UNUSED. References s_real_color_changed(), UT_ASSERT, and UT_DEBUGMSG. References AP_Dialog_Options::_storeDataForControl(), id, AP_Dialog_Options::isInitialPopulationHappenning(), UT_ASSERT, and UT_DEBUGMSG. Referenced by _constructWindow(), and s_real_color_changed(). 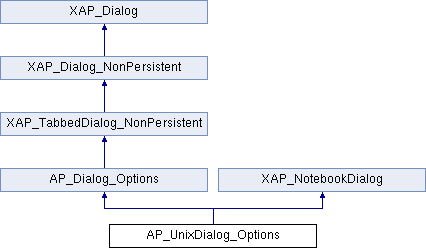 References AP_Dialog_Options::_event_SetDefaults(), AP_Dialog_Options::_populateWindowData(), UT_ASSERT, and UT_UNUSED. References UT_HashColor::c_str(), m_buttonColSel_Defaults, AP_Dialog_Options::m_CurrentTransparentColor, m_pushbuttonNewTransparentColor, s_control_changed(), UT_HashColor::setColor(), and UT_DEBUGMSG. Referenced by event_ChooseTransparentColor(), and s_color_changed(). Referenced by event_ChooseTransparentColor(), and s_real_color_changed(). Referenced by _constructWindow(), _constructWindowContents(), and _lookupWidget(). Referenced by _constructWindowContents(), and _lookupWidget(). Referenced by _constructWindowContents(), addPage(), and runModal(). Referenced by _constructWindowContents(), and runModal(). Referenced by _constructWindowContents(), _lookupWidget(), and s_real_color_changed(). Referenced by _constructWindowContents(), and s_auto_save_toggled(). Referenced by _constructWindowContents(), _lookupWidget(), and _setAutoSaveFileExt(). Referenced by _constructWindowContents(), _gatherAutoSaveFilePeriod(), _lookupWidget(), and _setAutoSaveFilePeriod().